Working in New York City from the mid-1920s until 1957, Valentina Sanina Nicholaevna Schlée (known professionally as Valentina) was one of a very small, select coterie of mid-century female designers who achieved commercial success and maintained influential careers during the formative years of American fashion. Working for a carefully chosen, exclusive clientele, Valentina turned out exquisitely cut and constructed evening, cocktail, and day ensembles that were commissioned and crafted in the manner of the French haute couture; every Valentina creation was made to order and was subject to multiple meticulous fittings and hand-finishing until the designer deemed the resulting garment worthy of her label. Known for her floor-gracing, draped, silk jersey gowns; body-skimming evening dresses with lowcut backs; deep décolleté; and bolero evening ensembles, Valentina also designed pared-down day dresses, linens, and undecorated cocktail dresses-all of which exuded a frank, forward-looking minimalist aesthetic. Born in 1904 in the Kiev region of Russia, Valentina escaped the revolution in the late teens with her new husband and soon-to-be business manager, George Schlée, arriving in America in 1923 after several years spent in Paris, Athens, and various other European cities. Much like the French designer Coco Chanel, who offered as many versions of her colorful past as her admirers cared to indulge, Valentina was prone to invent and embroider her early life as it suited her. As a result, Valentina's origins are shrouded in mystery. But as one delves further, it becomes increasingly clear that this mystery is largely of her own making. While U.S. immigration records indicate that she and her husband were affiliated with a traveling dance troupe known as the Revue Russe, Valentina was not above stretching that period to "her time in Paris with [dance impresario] Diaghilev." One account of her life after escaping Russia finds her dancing as part of a cabaret act with the Chauve Souris theater group in Paris. And while the Chauve Souris and the Revue Russe were hardly Diaghilev, one thing is certain: Valentina's early training as a performing artist played a critical role in the formation of her talent for costuming actors as well as her uniquely dramatic personal style. Graced with an undeniably compelling natural beauty, and enhanced by a theatrical presence, Valentina became as famous for the disciplined elegance and reductive simplicity of her clothing as she was for her meticulously crafted public persona. Self-created in virtually every aspect of her existence, Valentina offered an exotic beauty and charmingly mangled English that played to her favor in America, adding a veil of dazzlingly misleading allure to an already intriguing personality. 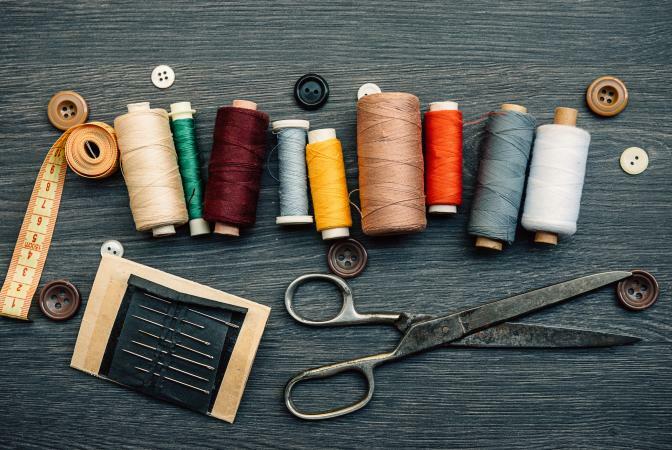 In operation from 1928 to 1956, Valentina Gowns, Inc., was preceded by two early businesses, one the mid-1920s operating under the spelling "Valentena," and another venture called "Valentina & Sonia." Both of these concerns had folded by 1928 when Valentina Gowns was formed on more solid ground-this time backed by the Wall Street lawyer and financier Eustace Seligman. With George Schlée as business manager and Schlée's extended family employed in the workrooms, what became the most exclusive and most expensive American house of couture actually began as a rather simple, family-run business under the shrewd and watchful eye of the firm's only designer, Valentina. Providing a formidable livelihood for the entire Schlée family, Valentina and George lived with great flair and panache on the swelling coffers of an almost immediate success. Within the first decade of business, Valentina's client list read like a who's who of blue-book society. With customers ranging from Park Avenue matrons to stars of the stage and silver screen, Valentina soon claimed Millicent Rogers, Lillian Gish, Gloria Swanson, Katharine Hepburn, Jennifer Jones, and even White House wives among her loyal following. Eleanor Lambert, the pioneer fashion publicist who represented Valentina for more than twenty-two years, claimed that Valentina was the dominant fashion designer of the 1930s and 1940s. From the early 1930s on, Valentina designed costumes for Broadway productions, operas, and (by the early 1940s) Hollywood films. Drawing on her experience in theater, she was keenly aware of the character-specific, problem-solving needs of performers. Not surprisingly, Valentina's costume design quickly gained renown for helping to define a character's role without challenging an actor's stage presence. Aptly summing up Valentina's contribution to theater design, the drama critic Brooks Atkinson noted that "Valentina has designed clothes that act before ever a line is spoken." From Lily Pons to Rosa Ponselle to Gladys Swarthout, Valentina dressed and accessorized the world's most sought-after opera divas of the mid-twentieth century. Her stage and screen credits include longstanding working relations with Alfred Lunt and Lynn Fontanne, Norma Shearer, Paulette Goddard, Ginger Rogers, and Jennifer Jones, to name but a few. 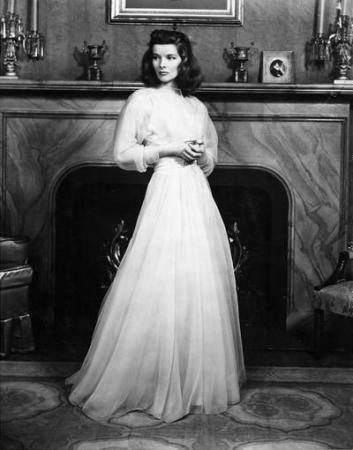 Her designs for and association with the reclusive film star Greta Garbo (who lived in the same Upper East Side apartment house as the Schlées) inspired endless sensationalistic journalism, but perhaps Valentina's most influential and highly publicized work was for Katharine Hepburn, whom she dressed in 1939 for Hepburn's starring role in the stage version of The Philadelphia Story. The white crepe, corselet-tied gown Hepburn wore was widely copied by designers at every price point across the nation for years. In many ways, Valentina's work influenced fashion well beyond the scope of her limited elite clientele. In the 1940s, fashion editors coined the phrase "a poor-man's Valentina" to describe an affordable, simple, well-cut black dress devoid of any decoration. One of the first designers to promote monochromatic dressing, opaque and black stockings, and simple, short dresses for formal eveningwear, Valentina launched fashion trends that immediately trickled down to the masses. If Valentina's most recognizable calling card was simplicity, it should be remembered that hers was a carefully studied, highly disciplined simplicity. Her signature fragrance, "My Own," which was in production by the 1950s, was remembered by one ardent admirer as "Just like Valentina. Deceptively simple. But wildly complex." This carefully measured restraint during a time when floral appliqué, sequins, and pussycat bows were the ubiquitous choice of American dressmakers lent Valentina's designs a cool, modernist edge and earned her the respect and patronage of many of the most celebrated names in art, theater, and society. Wary of obvious fads and proudly declaring herself an American designer, Valentina insisted that true style and well-designed clothing were, in their ideal form, timeless, and she duly advised women to "Fit the century. Forget the year!" In 1957, Valentina Gowns closed its doors-an event that coincided with the end of Valentina's marriage to George Schlée. The business was jointly owned and run, and it was George's role to manage the business while Valentina created-a two-person performance that simply could not be accomplished by Valentina on her own. In retrospect, however, it appears that Valentina's career might have run its course. By the late 1950s, both in the press and on the streets, the sophisticated ladies of café society were reluctantly giving way to the youth-driven and fast-approaching 1960s, which would witness the imperious and haughty glamour of the preceding era slowly fading away like the lingering scent of a once ravishing perfume. From the very beginning of her career, up until her very last days, Valentina had remained at the very top of the most competitive, most exclusive, and perhaps least understood area of twentieth-century fashion history-American couture. She died in New York City in 1989 at the age of ninety. See also Film and Fashion; Hollywood Style; Theatrical Costume. Watt, Melinda. Valentina: American Coutouriere. Thesis New York University catalog holdings, n.d.